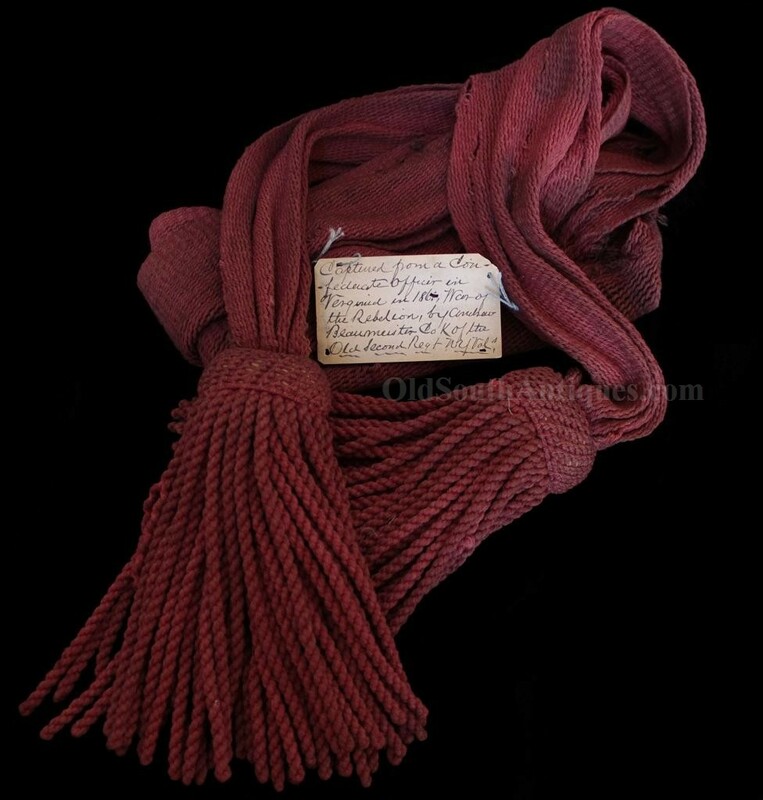 This beautiful sash is one of the very few that can be identified as a Confederate sash and it can be done so both by construction and recorded history. Of the many sashes that I have owned over the years, only one other could be identified as Confederate; not because Confederates did not wear sashes, but because they are usually identical to the Yankee sash. I made a study of sashes once so that I could identify a CS sash when I saw it, but I quickly came to realize both sides were wearing the same thing, with rare exception. This is one of those exceptions. 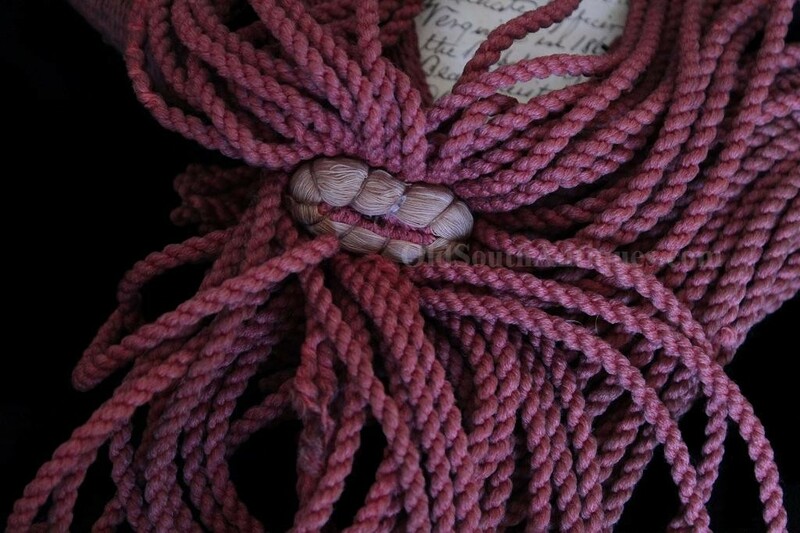 The keeper knot under the tassels is rectangular in form rather than the standard round, and it is bound with twine. 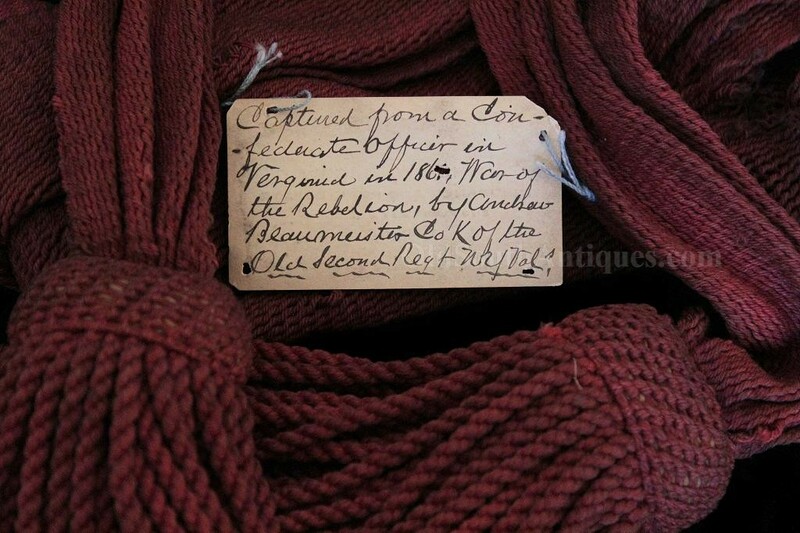 The material is a coarser weave and contains less silk than a standard sash. I would have known it was not Federal by these differences, but I would not have been able to say definitely that it was Confederate were it not for the old display label that goes with it. The card is approximately the size of a modern business card, and was in fact a business card of its era. 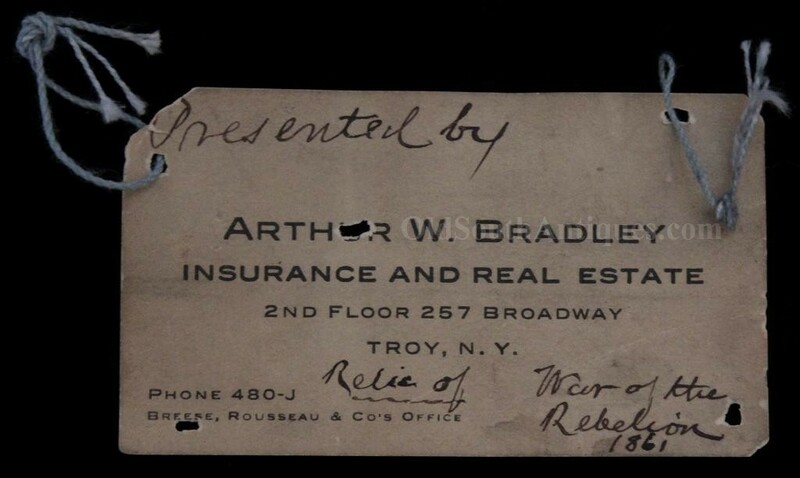 The card belonged to Arthur W. Bradley. The 17-year-old Bradley enlisted in the Second New York, Company G, as a musician on May 17, 1861 in Troy, New York. He mustered out two years later on April 26, 1863. The only action the 2nd saw in 1861 was the action at New Market Bridge on June 6thand at Big Bethel June 10th. They could not have taken it at Bethel, so if it was taken during skirmish, it would have been at New Market Bridge. The sash is in very good condition; though has sporadic mothing and damage it still remains strong enough to use.